An anglicism is a linguistic borrowing from English and is criticized by francophones when used at the expense of the French language. A borrowing rendered necessary when French doesn't have another word to describe the reality in question. Thusly numerous English and American terms come into the French language. 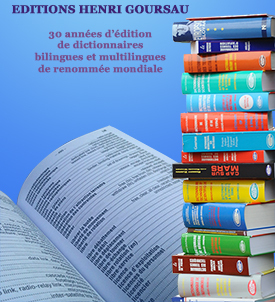 English exerts a considerable influence on French since the second half of the 20th century. And yet we are surprised by this new wave of anglicisms, these words borrowed from English and American having taken on such proportions that we ask ourselves if we know if we still truly read a French newspaper. Anglicism hybrid is a mixed form which combines an element borrowed from English and an element from French, whether we add a French suffix to and English word or we replace an English suffix with a French suffix. Semantic anglicism is the attribution of a truly English sense to a word that already exists in French. These words are also called false friends and derive very often from an error in translation. Lexical anglicism is a borrowing directly from English. Syntaxic anglicism or structural anglicism is a word for word translation of an expression or of a phrase structure truly English and which can come from the use of an expression reproduced directly from English. Phonetic anglicism is committed when the speaker pronounces a French word in an English accent. Other types of anglicisms are of morphologic, phraseologic or graphic nature. In short, enough to get lost in ! In spite of the Toubon law concerning the defense and the usage of French voted into effect 20 years ago, English terms remain highly used, as much in businesses as in the French advertisements and press. Anglicisms expand rapidly in the French language. If we are not careful, we will end up speaking only English or Franglish. We can observe a recent and massive apparition of the same anglicisms in the languages of the Internet. The vocabulary used in the social networks borrows more and more terms and ideas from the anglo-saxon world. Californianisms, because most of them come from the west coast of the United States, particularly from the Silicon Valley. Because American, is first and foremost these days, the language of Money-is- King, that of capitalism and colonisation. When we enter into the social networks, the amount of anglicisms is impressive. The vocabulary of Internet users is full of anglicisms, such as «swag», the new term for «cool» or «hype». From the linguistic point of view, all sectors of modern society are influenced by the language considered international : English. This expansion of borrowings from English, which has seen an acceleration in the last 50 years or so, is due to the fact that English is also the language of the primary economic, political and military power, and the instrument of communication of large specialised fields of science and technical domains, of economy and finances, of sports, etc. Borrowed from English, and more and more from anglo-american, anglicisms have become incrusted into numerous languages, one of which being our own. Should we be afraid of anglicisms? Do they truly constitute a menace for the French language? Should we banish them or dissuade their use in the French language? Should we say that in French? Do they not come to fill a lexical or terminological gap, and do they not enrich the borrowing language? Because to refuse to employ anglicisms «entered into usage», at the level of words or of structure, would this not also be to refuse to evolve with one's language? Some people say that a language is not menaced by borrowed words, otherwise English would be dead. On the contrary, the language is enriched and if it borrows words, it's because it is alive. And so the French lured by anglicisms? There are first and foremost the terms in the more-than- common usage: «football», «week-end», «fan», «best-seller», «badminton», «golf», «rugby», «bifteck», «boxe», «cowboy», «suspense», «tunnel», «kit», «listing», « smoking», «camping», «paquebot», «redingote», «nylon», «corner», «club», «bar», «recordman», «sandwich», «parking», «hall» for example.